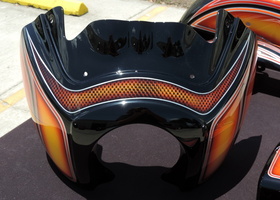 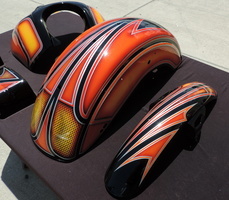 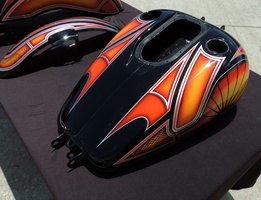 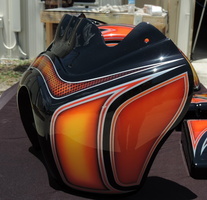 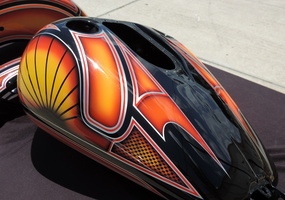 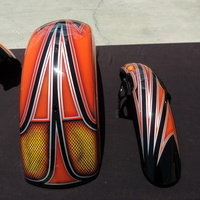 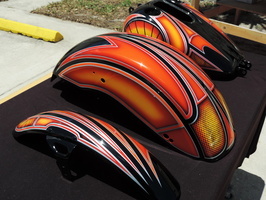 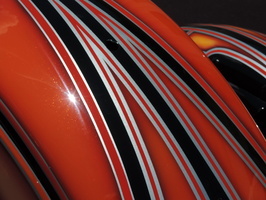 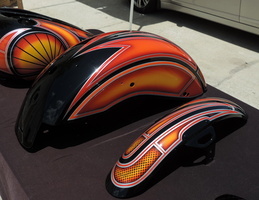 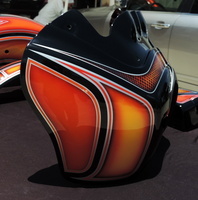 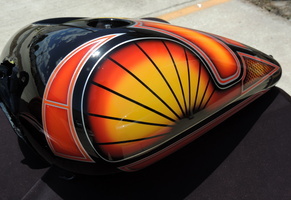 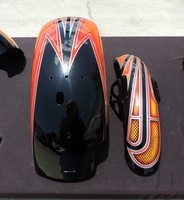 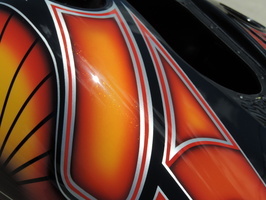 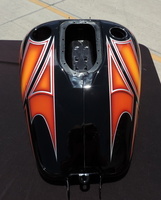 Custom graphics painted in yellow, orange, red, black & silver. 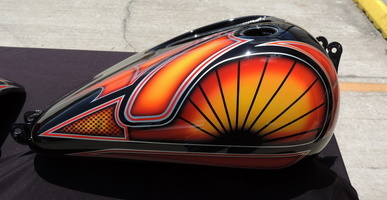 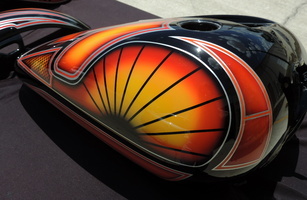 The graphic on the sides of the tank seems like a sunrise. 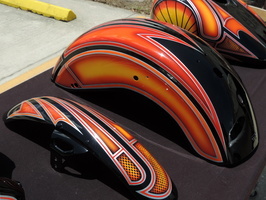 A lot of work involved in this paint job. 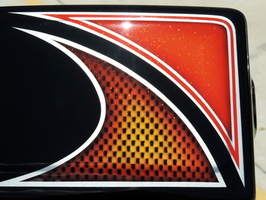 Came out awesome! 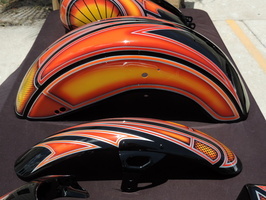 These tins are going on a new 2017 bike at Bert's Barracuda Harley Davidson.